LONDON - February 25, 2016 - Research released today from leading European email provider, Mailjet , has revealed that almost two fifths (38%) of senior marketers aren’t generating revenue from transactional emails. The research coincides with the launch of a new feature within Mailjet’s Passport, an intuitive product that now enables marketing efforts and on-brand communication to be unified across all customer touchpoints: transactional as well as marketing emails. On average, “open rates” for transactional emails are around 40%, compared with just 15% for marketing emails. Transactional emails are more highly read because, by their very nature, they normally contain information the recipient is expecting after taking action on the website or app, such as password reset or an order receipt. This increased interaction means there’s a huge potential for organisations to use them to generate further engagement and sales. However, the research released today, highlights that the majority of marketers still aren’t taking advantage of this untapped marketing channel. The research also reveals that, 20% of senior marketers have no grasp on whether their transactional emails are generating revenue. Further highlighting the need for organisations to embrace this untapped revenue stream and ensure email marketing efforts are integrated across the entire sales cycle. As part of Mailjet’s transactional email suite, organisations now have access to a full range of tools to efficiently create transactional and marketing emails that generates revenue. This includes MJML , an open source markup language which cuts responsive coding complexity from emails, and Mailjet’s templating language implemented in the heart Passport, their intuitive drag-and-drop design tool. 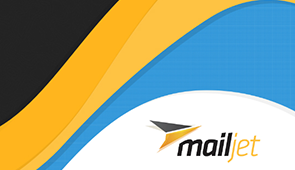 Mailjet is a global email service provider, offering businesses an intelligent all-in-one solution for marketing and transactional emails. The solution offered by Mailjet caters to both large and small businesses, SMEs and startups, adapting to each company’s mailing volume and characteristics.